Asian Style which includes Mei Tai (most common & pictured above), Podaegi, Onbuhimo. Soft Structured which includes Beco, Ergo, Manduca and Patapum (baby and toddler size). Mei Tai are primarily Chinese in origin. They have a strap at each corner, two for the waist and two for the shoulders. 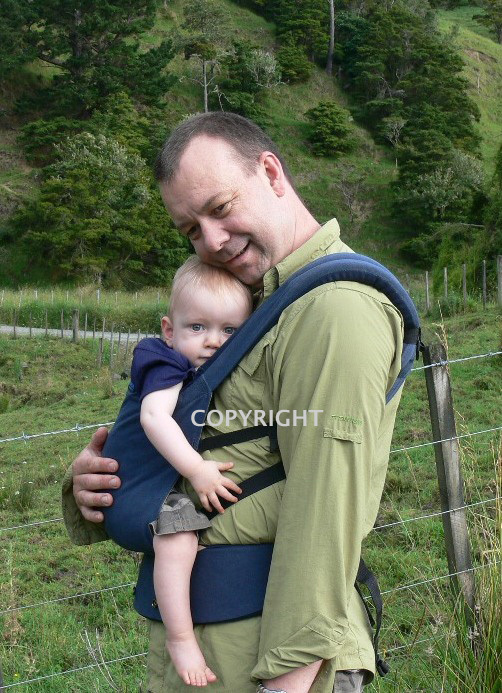 Some Mei Tai brands available in NZ are BabyHawk, Little Tree Baby, Kozy Carrier and Snugglez. Podaegi are Korean. They have a strap at each top corner, which cross under baby to become the bottom support too. Onbuhimo come from Japan, and have straps at the top which thread through a ring at each bottom corner. The panels can be quite ornate and the straps are usually wide to spread the weight over the body. 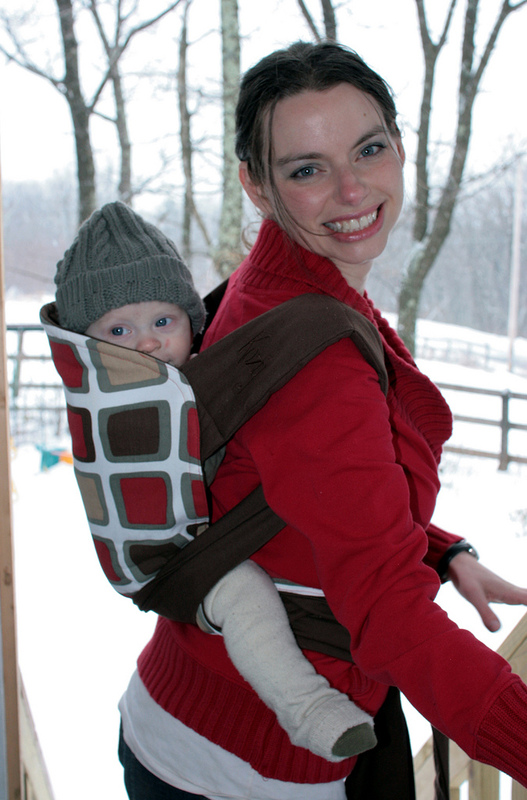 The Mei Tai can be worn front and back, but the Podaegi and Onbuhimo are primarily back carriers. All three types support baby in the desirable squatting/seated position. 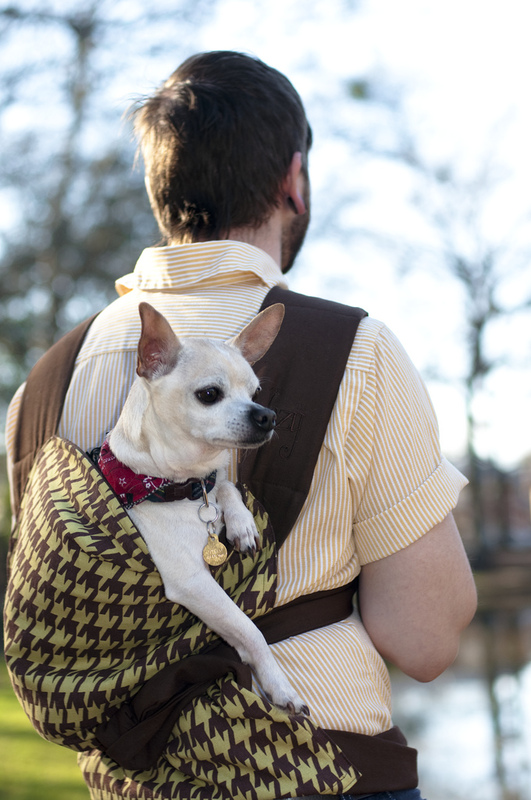 Some people even carry their pets in their carriers like this happy pooch who’s riding in a Kozy Carrier! Soft Structured Carriers (SSC) got their original design from Asian Style, but buckles and cinches have been added, and a thick, more structured waistband. 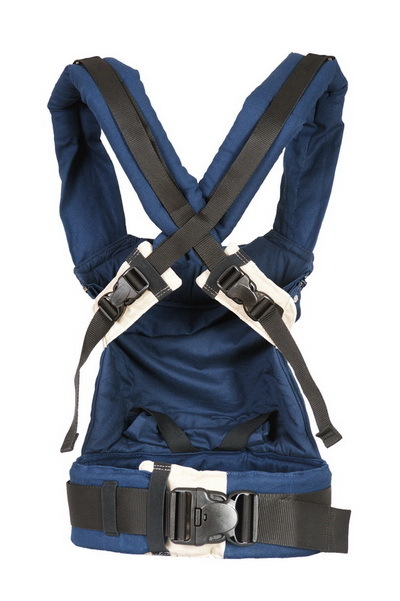 The shoulder straps are very padded, with a chest clip for added security. The waistband takes the major part of baby’s weight, which is easy to carry on the hips rather than dragging on your shoulders like some carriers. All of them have a sleep hood either rolled up or tucked in the top edge. There are some differences between the main brands available in New Zealand but essentially they have the same basic design similarities with the straps, buckles, waistband and sleephood. The Ergo has the shortest panel of them all, and the Toddler Patapum, Beco and Manduca the tallest. The Manduca has an extendable back panel – you can unzip it from the height of the Ergo to just a little higher than the Beco. The Beco is the only one with a permanent layer between you and baby, which is really useful for switching baby from front to back without reinstalling them. The others have nothing between baby and parent. The Ergo needs a separate infant insert if used under around 4 months while the Manduca and Beco come with attached infant inserts so are ‘all in one’ carriers. The Toddler Patapum is recommended for babies from 9-12months – before this they get lost in the panel! The Ergo and Manduca shoulder straps can cross at the back when used in a front carry, but the Beco and Patapum straps can’t. The Manduca showing how straps can be crossed for a front carry. Daddies seem to like the no-fuss practicality of the Soft-Structured Carriers when compared to other carrier types. Asian Style and Soft Structured Carriers are great for spreading baby’s weight over two shoulders – ideal for heavy babies or toddlers and for when you need to wear your baby for long periods of time. Many can be used over 18kg which makes them good value for money. 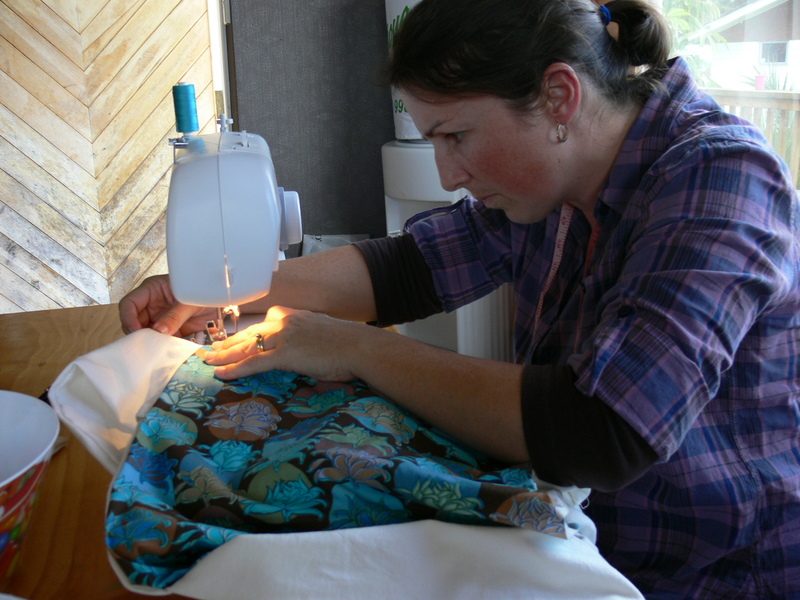 There are many great brands available in New Zealand, or you can make your own if you have the time and skill – make sure you reinforce those seams and for a SSC use good quality buckles! Article written by Jessica Richards, Slingbabies. All images used with permission from the image owners. 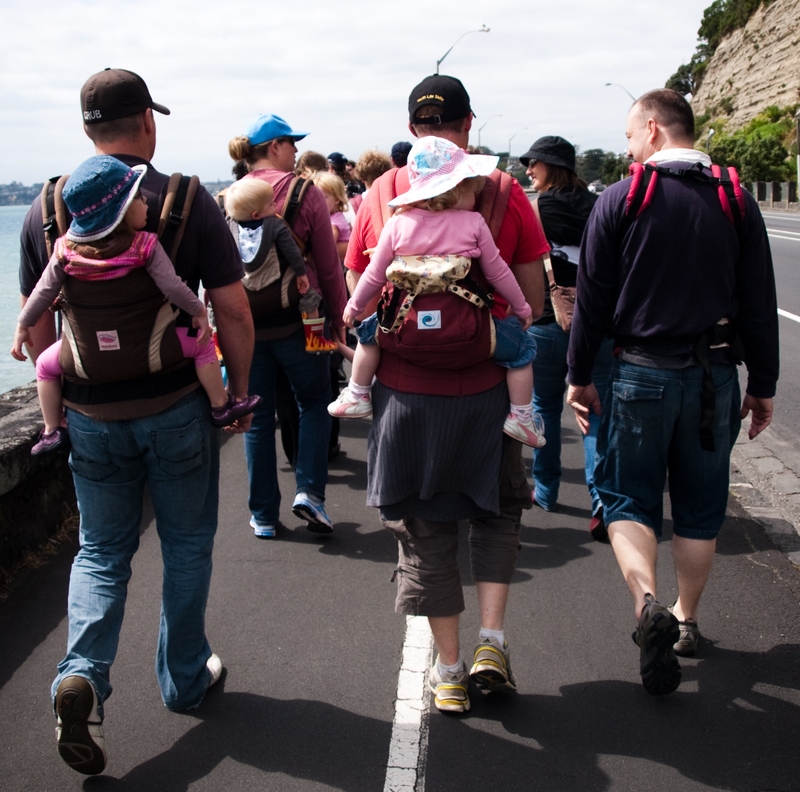 This entry was posted in Mei Tai, New Zealand Babywearing Week, Onbuhimo, Podaegi, Soft-structured carriers and tagged Asian style baby carriers, babywearing, beco, ergo, Kozy Carrier, Manduca, mei tai, onbuhimo, patapum, podaegi, soft-structured baby carriers. Bookmark the permalink.